An unapproved collision repair product whose specs or distributor suggest it’s equivalent to a brand required by an OEM might still be deficient, or at the least unproven, based on a recent Audi discussion of the automaker’s own equipment vetting process. 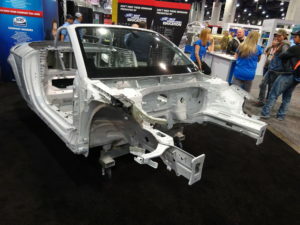 And while it might appear that “‘My good old Rosebud is a welder, and that should work,'” that’s just not necessarily accurate either, according to Audi collision programs Director Mark Allen. “There are very thought-out engineering answers that are in the equipment,” he said of Audi’s approved equipment during a VeriFacts Guild21 call Thursday. Allen’s comments echo 2015 and 2016 explanations from equipment companies and OEMs on why seemingly similar tools are simply not interchangeable. While it can be frustrating for a shop to have to obtain multiple copies of the same tool (rivet guns seem to be notorious), the fact remains that only specific brands or devices meeting certain specifications have been proven to restore crashworthiness for each particular OEM. Deviate from these tolerances, and the shop instead of the OEM becomes the party exposed to potentially millions in liability should the vehicle not perform as expected in a collision. Allen on the call described both his company’s “very strict process” for reviewing prospective collision repair equipment like welders and rivet guns and the hidden dangers in using unapproved devices. Audi’s 2017 checklist can be found here. Audi’s equipment testing happens about once a year and during the development of OEM repair procedures, according to Allen. For someone to conclude that one brand “looks, smells, tastes the same” as an Audi-approved model was “not a realistic comparison,” he said. Audi actually tests a “whole bunch of different parameters,” Allen said. And at the end of the day,”we know that it’ll do the job,” he said. He also noted that tools approved for an Audi ought to work for anything else in the “House of Volkswagen” (most notably, Volkswagen itself). Allen shared an example of what can happen when a repairer deviates from its tooling parameters. Audi approves certain bench setups from three different companies, Celette, Car-O-Liner, “and now Spanesi,” Allen said. Those manufacturers work with the OEM “well before” a particular Audi goes on sale at dealerships, and all of them provide CAD data and prove they can hold measurements and tolerances in many different ways — “way too many to go into” during the call, according to Allen. A gap on an Audi door might have a tolerance of ± 0.5 mm, perhaps 1 mm in some cases, according to Allen. The unapproved Audi manufacturers’ reverse-engineering could produce a production tolerance on top of a production tolerance, he said. Allen said the same issue can arise with adhesives. An adhesive manufacturer representative might pitch a product to a shop, declaring, “‘Oh, we produce that stuff for Audi,'” Allen said. What the rep might not tell the shop is that Audi is actually receiving a private-label “specialty mixture” proprietary to Volkswagen, Allen said. That unique variant is what’s proven to work, not the generalized version, he said. 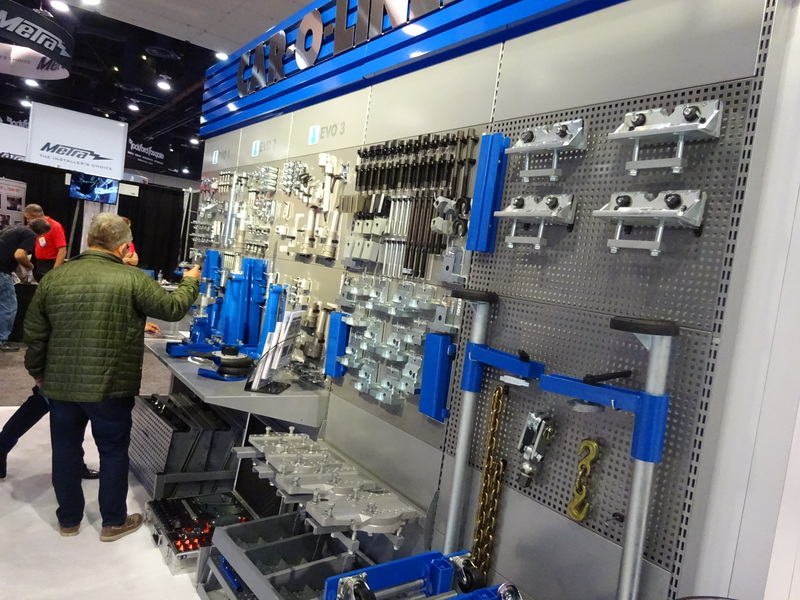 Some OEMs have sought to make it easier on certified shops by merely mandating that certain tools meet certain specifications, rather than limit the shop to a particular brand. That way, a tool obtained for one certification program could be used for a competitor’s certification program. However, at times they still demand a particular brand. Allen shed a little added perspective into the latter by noting that even a product which matches the specifications of an Audi-approved brand of tool could be insufficient. A particular manufacturer’s product must be delineated. Specifications aren’t necessarily how a particular engineering question (proper collision repair) is solved, according to Allen. The fact that a competing manufacturer can deliver the same duty cycle, voltage or phase as an Audi-approved welder “is all great,” but Allen said Audi might be examining a host of other variables with electronic welding, such as frequency; ramp-up, weld and letdown voltage; pressure and even the technique used by the human operator. The next VeriFacts Guild21 call is scheduled for 2 p.m. ET Dec. 14.